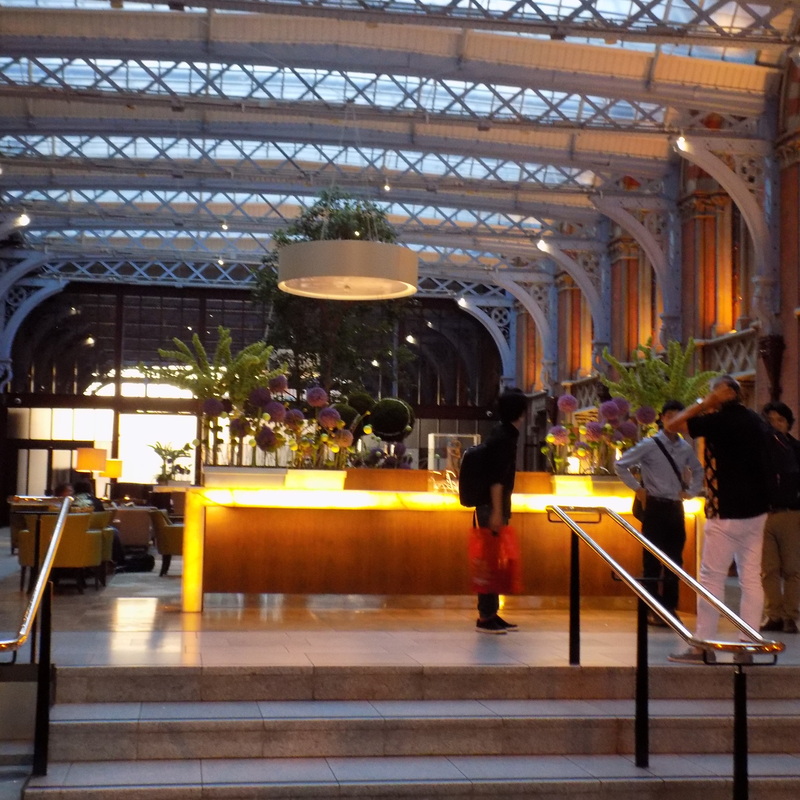 I first visited the Gilbert Scott Restaurant with my City Lit food writing group a few weeks ago in May. 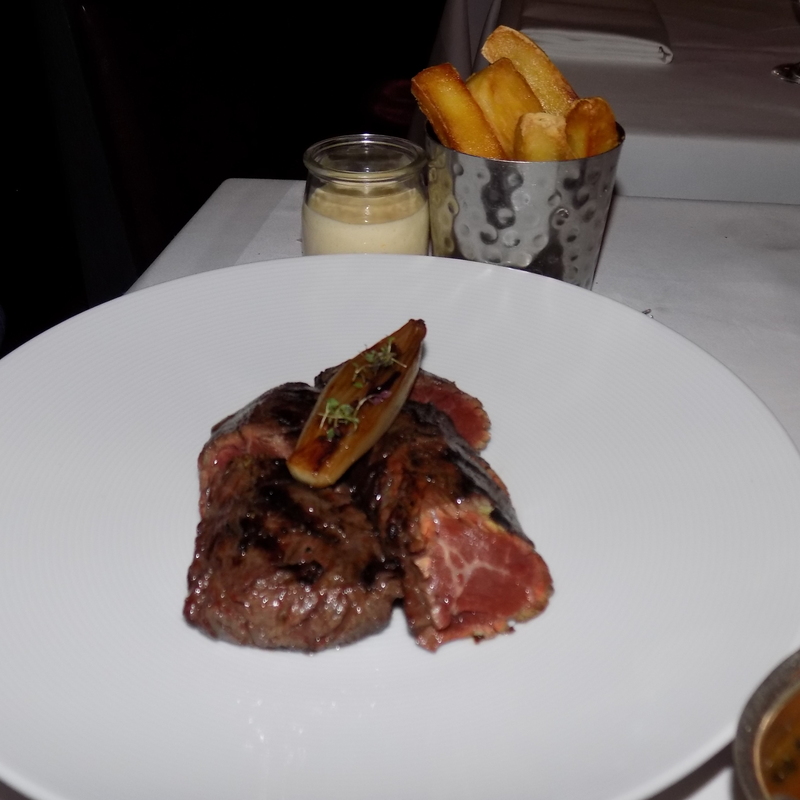 So impressed was I with my dining experience, I couldn’t wait for my husband to share in that too – no pressure Gilbert Scott! Did I tell you that my husband has high expectations? but they did not disappoint in both food and service. 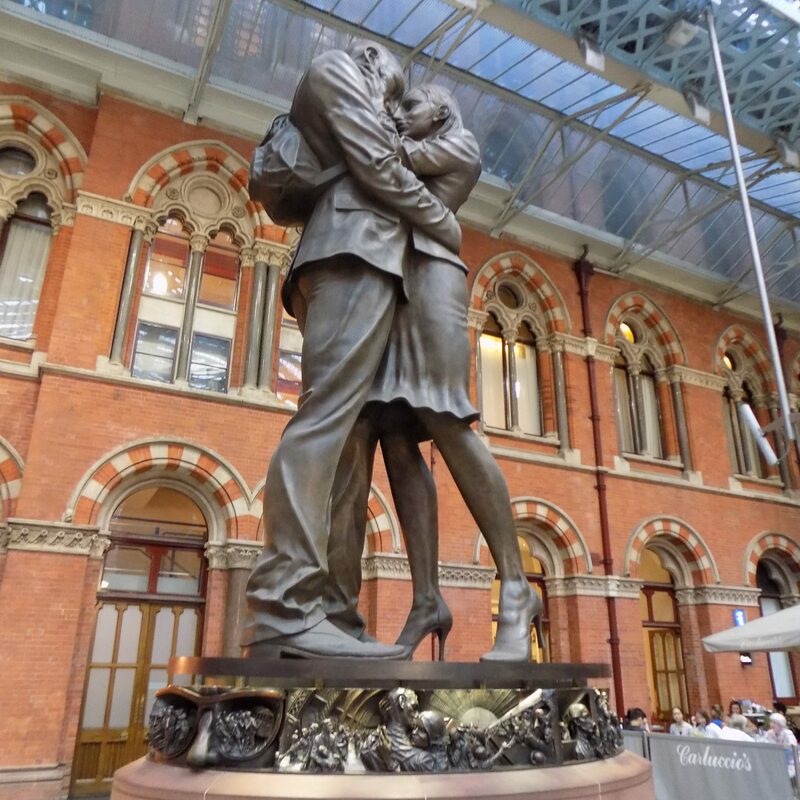 The Meeting Place – A 9 meter tall bronze statue of a man and woman in an intimate embrace at St Pancras International Station. 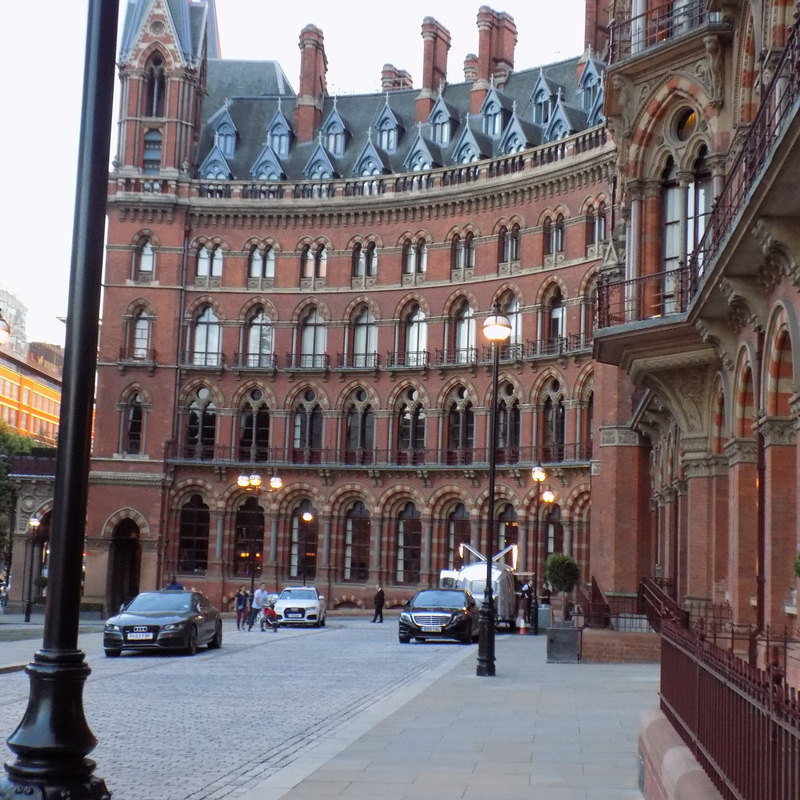 Situated in London’s King’s Cross is the St Pancras Renaissance Hotel, formerly the Midland Grand Hotel which was designed by George Gilbert Scott. The hotel has quite a Gothic feel to it, it almost reminds me of Harry Potters’ Hogwarts. It first opened it’s doors in 1873 however, not long after, it all came to an abrupt end when the hotel closed in 1935. The building was renamed St Pancras Chambers and was used as railway offices until it’s much anticipated re-opening in 2011. 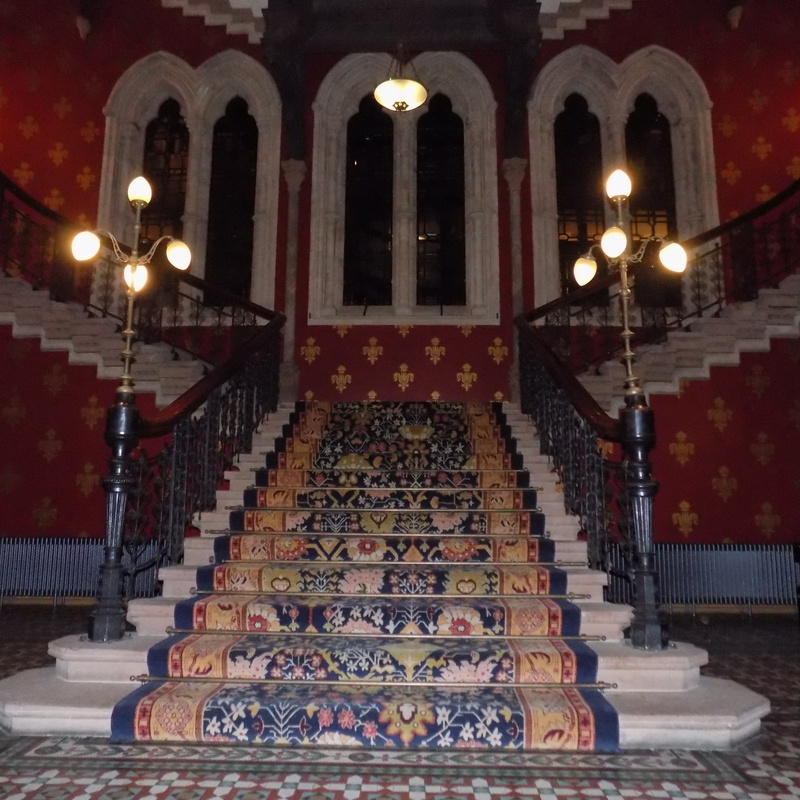 Did you know the Spice Girls filmed the video to their first single “Wannabe” on this magnificent staircase? Back to The Gilbert Scott, it’s owned by the acclaimed chef, Marcus Wareing. Not another celebrity chef I hear you say, maybe so however Mr Wareing is a chef with the highest of expectations, rather intimidating to work for I would imagine but how wrong was I. His regular involvement in not just the Gilbert Scott but all his restaurants clearly shows not just in the quality of food but the whole dining experience where managers, waiters and chefs work together seamlessly, they are all very much a team. The restaurant has a very French Brasserie theme with the plush sofas, burnished bronze features, marble pillars and ornate lights, the centre piece of the very high intricate ceiling and with my blog being very much based around Paris, I felt right at home here. I would describe the Gilbert Scott as modern European showcasing the best of British seasonal produce. 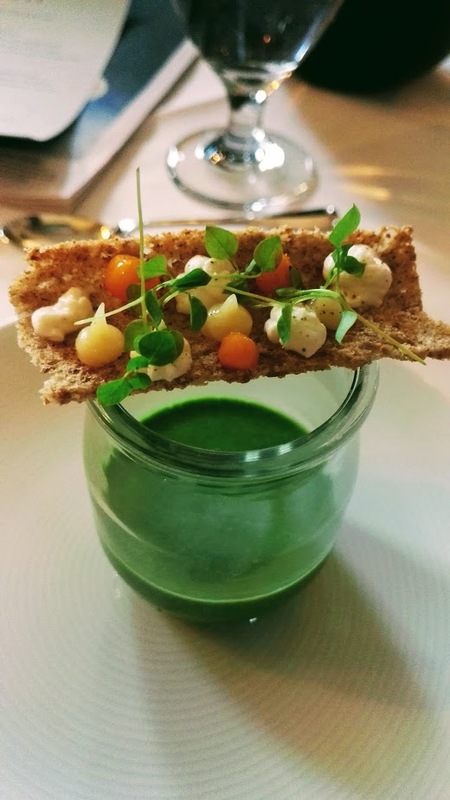 This was evident in the Amouse Bouche which began our culinary experience, a fine example of British ingredients at their best in the form of a really fresh wild garlic soup accompanied by a crispy crunchy paper thin cracker dotted with goats cheese and other wonderful complementary flavours. 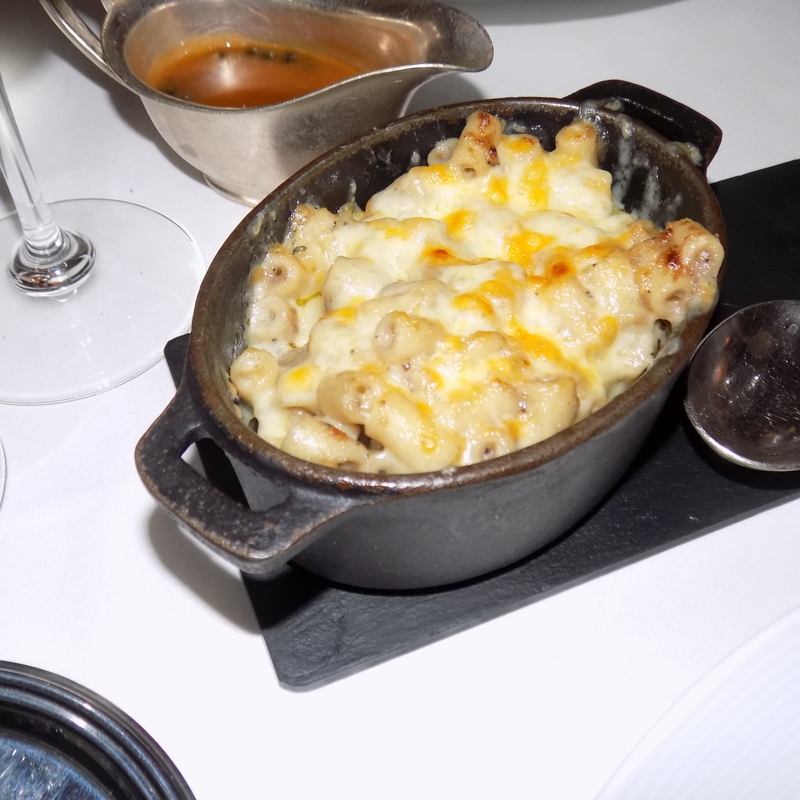 Amouse Bouche – A pre-dinner palate cleanser. The starter I chose when I previously visited was my much adored Foie Gras and I feel I really need to tell you about my go to Parisian starter, I always have high expectations of any Foie Gras dish and it really didn’t disappoint. It was rich, unctuous and silky soft with an almost jelly like top layer and what really set it apart was an unexpected crunchy nutty granola which really did complement the richness of the Foie Gras served with a generous slice of crispy toasted brioche. So when I sat down to order from the restaurants 3 course menu, I was disappointed to see that the menu had changed! 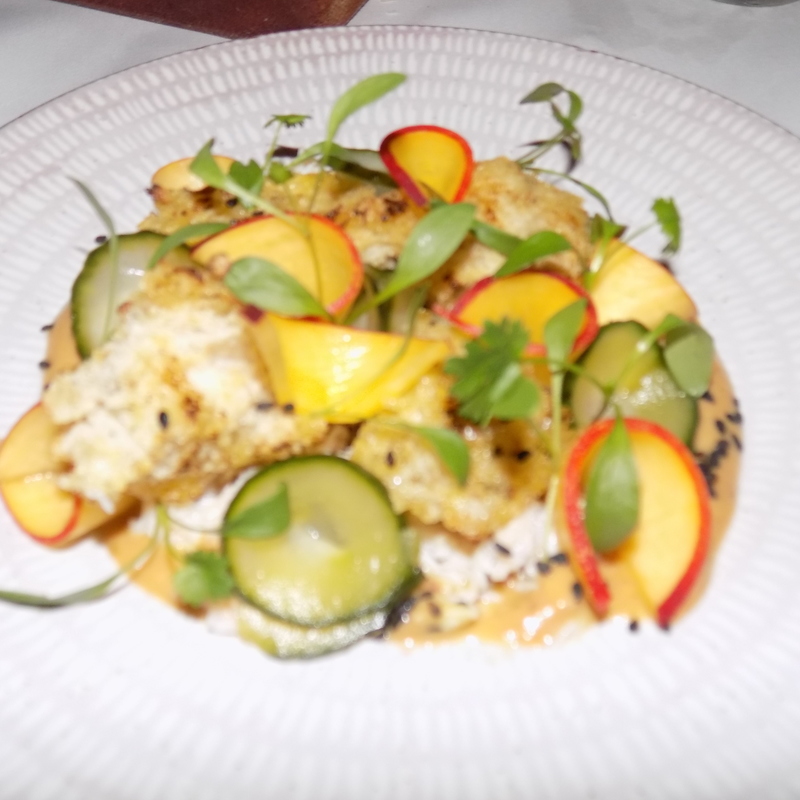 Obviously restaurants do have to be seasonal so Foie Gras was soon put to the back of my mind when I realised my other favourite, Crab, had made an appearance on the menu in the form of Dorset Crab served with nectarine, cucumber and sesame. It was light and fresh in both appearance and taste, the addition of nectarine gave the dish a pleasant sweetness, it was the perfect starter for this time of year. My husband chose the Salt Baked Beetroot with Pine Nuts and Rosemary, he is a lover of beetroot in it’s every form and I can always tell when he’s eaten it when I visit the “chambers” after him, apologies for mentioning that. So here we go, with his usual high expectations very much on my mind, I have to admit I was a little bit worried when he took his first bite but thankfully, it was an expression of joy on his face, I was relieved! 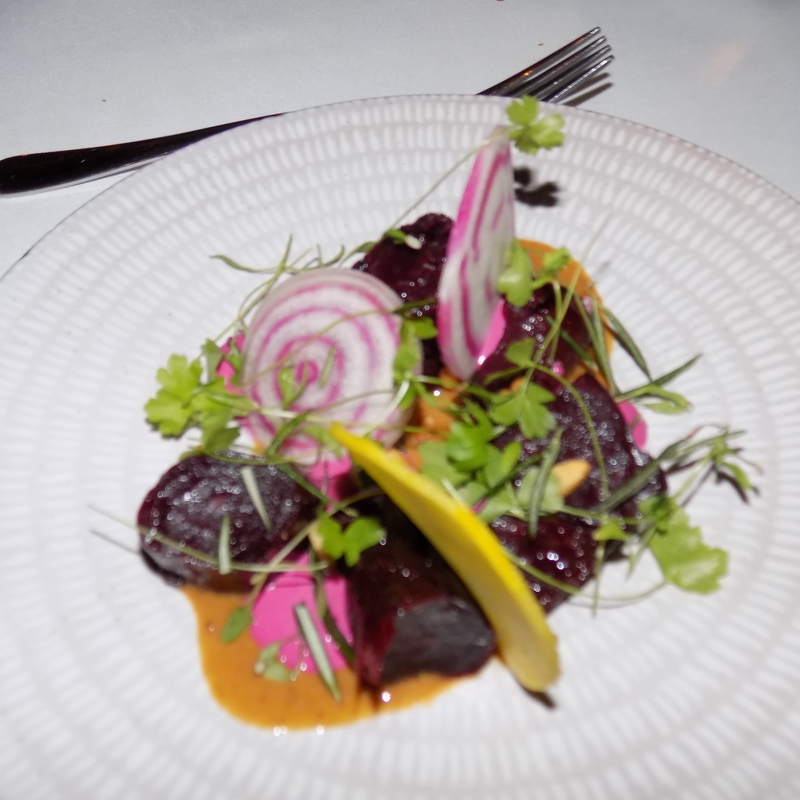 he absolutely loved it, it was earthy but not in an offensive way which can sometimes be the case with beetroot, the addition of pine nuts really gave the dish an usual vibrancy. What I loved most were the very striking vivid deep, plumy, purple colours and the unusual but really pretty stripes from the variety of beetroot on offer. 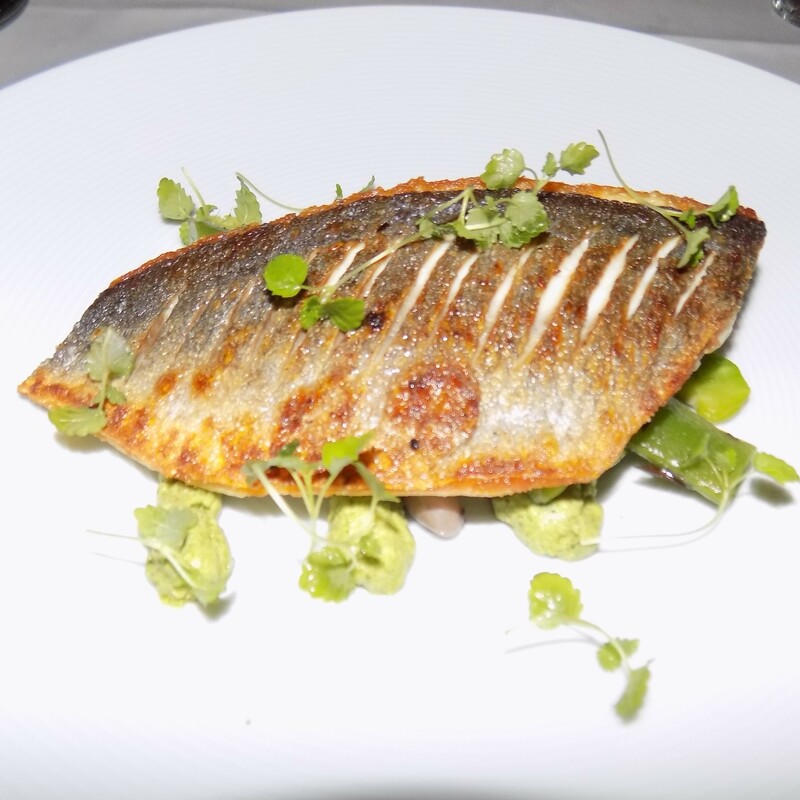 For mains, I chose the ever faithful fish simply because of it’s delicate nature, it was a lightly pan fried sea bream fillet with summer beans and a rather unfamiliar ingredient on a fish course, tahini verde but was so complimentary balancing and enhancing every ingredient on the plate. I do worry when choosing fish as it can, in a matter of seconds, become over done but it was cooked perfectly, delicate flakes falling of my fork like snow. My husband chose his ever faithful! a nice piece of manly steak which came with a supplement which is to be expected I guess. This was grilled Aberdeen Angus Hanger Steak with roast shallots and he ordered a side of triple cooked chips. Now I have to really champion the chips, I have never in all my life eaten such delicious chips, they were cooked in goose fat, now there’s a surprise, all things bad for you are the most delicious aren’t they? as the saying goes and these really were delightfully crispy crunchy and light, oh to have some of those right now would really hit the spot, they came with an unusual smoky butter mousse which I slathered on my fish much to my husband’s dismay but it was so yummy. Another worry of mine, he always has his steak rare or blue as it’s sometimes referred to so I was a little bit concerned but it was butter soft and melt in the mouth flavoursome meat, the look on his face said it all, “yes” that’s all that was needed, a very successful choice, he was a very happy and satisfied man indeed. I ended my meal with none other than chocolate of course! every girl’s favourite in the form of a firm but melt in the mouth mousse called Chocolate Cremeux served with a scoop of zingy orange sorbet which cut through the richness of the chocolate. He chose his customary cheese board with again, a supplement, our waiter was Assistant Manager Florian Christodoulou whom I met on my last visit, a really nice chap, he has a wonderful rapport with his staff and customers, gave my husband the run down on the cheese and helped him choose three of his favourites. 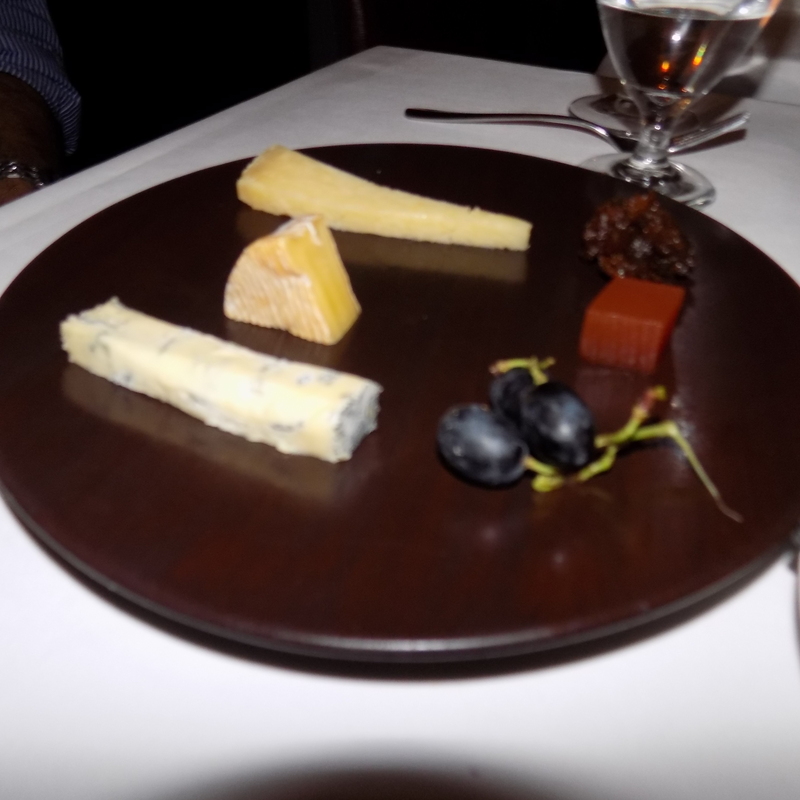 If there is only one flaw in the evening, it has to be the limited portions of the cheese on the cheeseboard, an £8 supplement is quite hefty for the size of each portion, that would be my only criticism of an otherwise lovely evening. 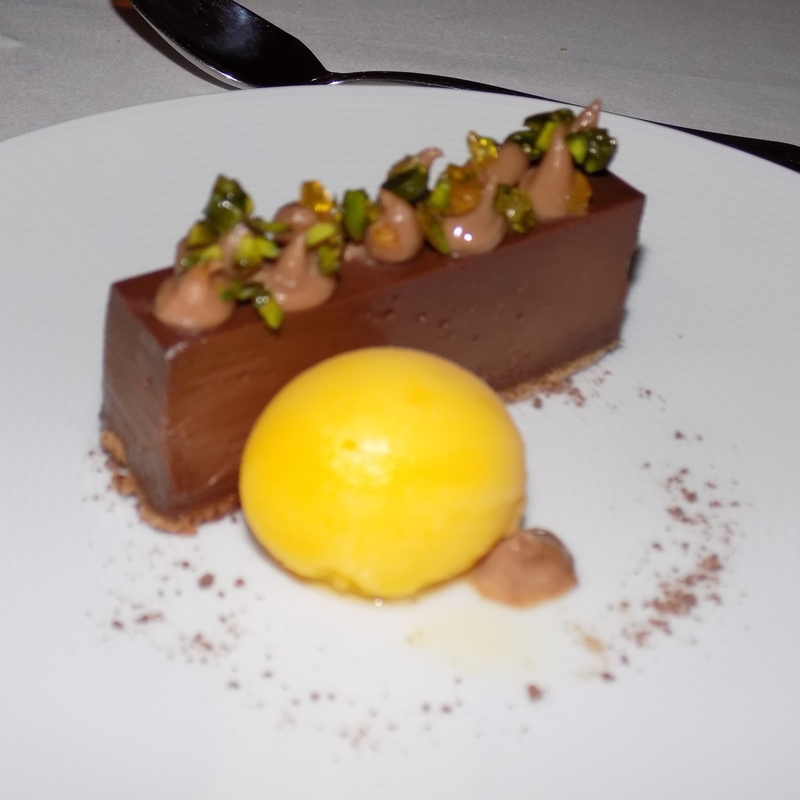 Complimentary Truffle Mac’n’Cheese, Chocolate Cremeux with Oange Sorbet. I think what I was most impressed about was the service, as with my last visit, it was faultless. 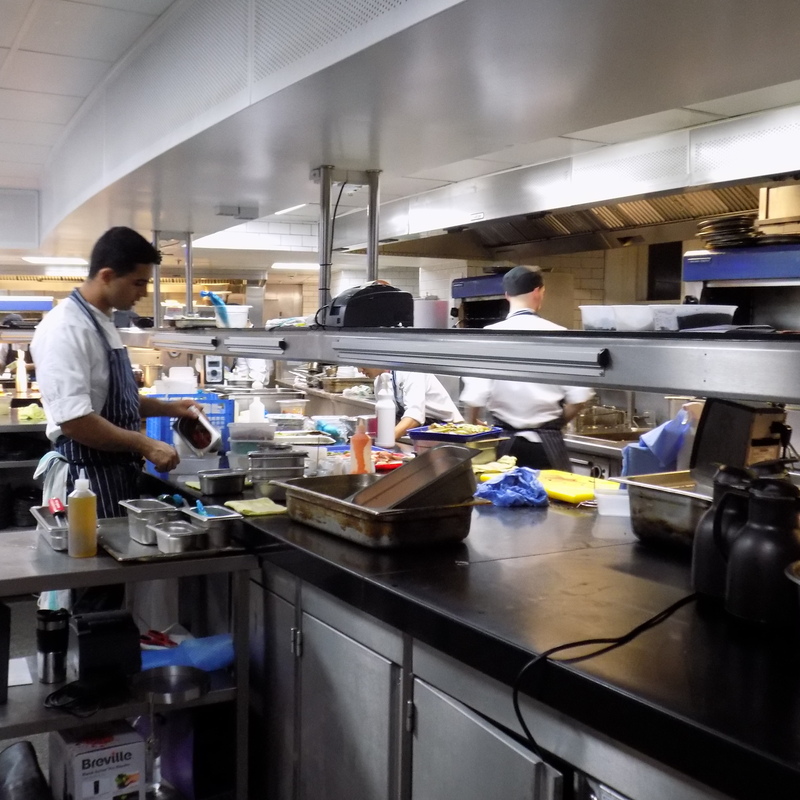 Everyone is a team at the Gilbert Scott and it is most evident in their interactions with each other ensuring the smooth running of the restaurant right from the kitchen to the table. 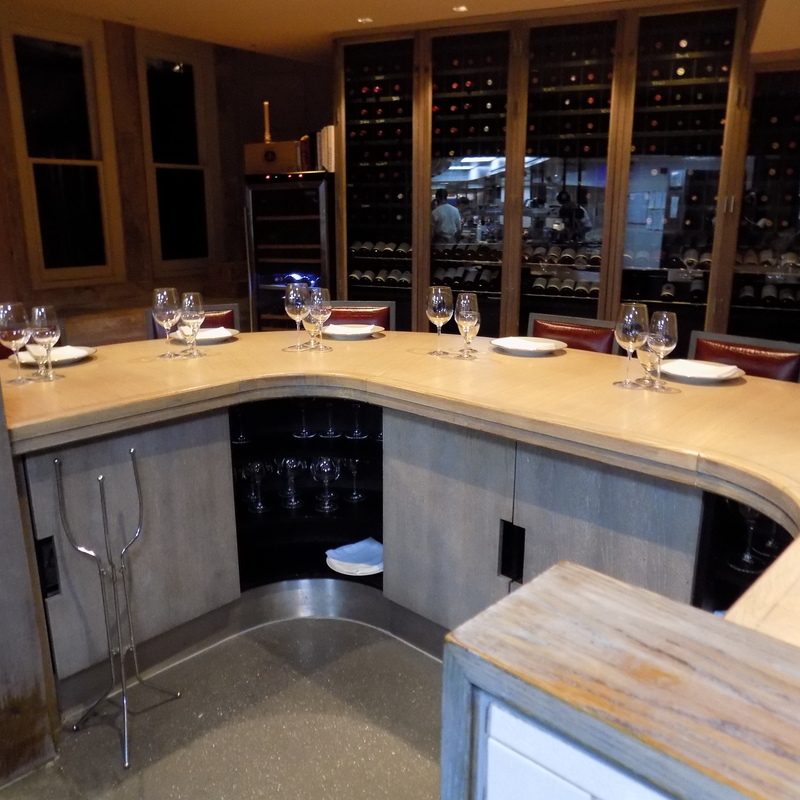 Florian was kind enough to show me round the kitchen again (I had a proper tour with my food writing group) I am in awe of the kitchen staff and chefs, it has to be one of the hardest jobs but I can imagine one of the most rewarding too. 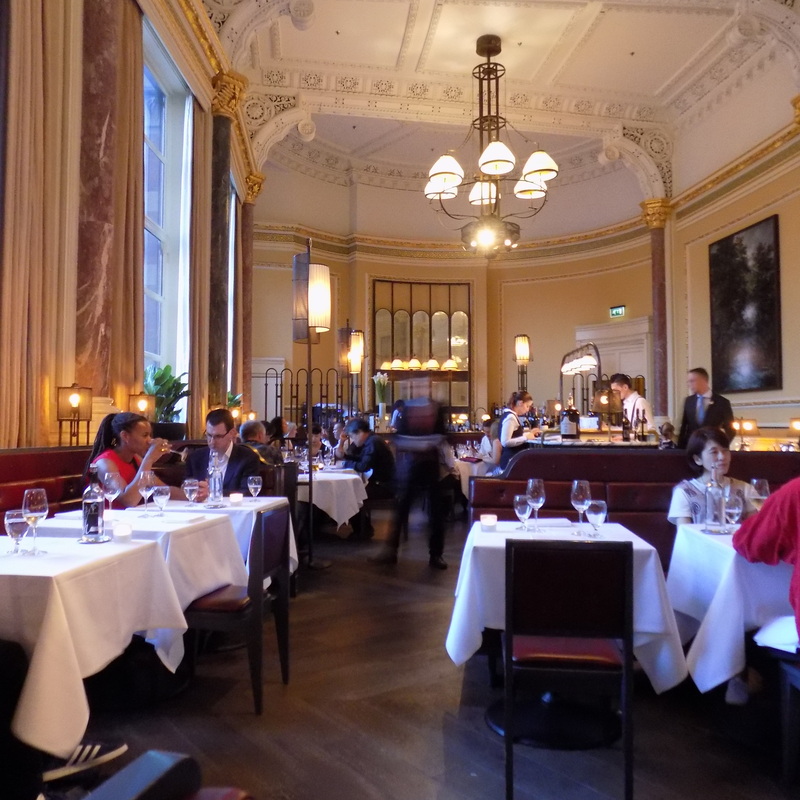 The GilbertScott is definitely a restaurant I would return to as I really believe the true essence of a restaurant can only be established through it’s core menu and that is always the a la carte so until next time. All photos and thoughts are my own. I love this restaurant AND the Spice Girl staircase of course! !